Ever wondered what may happen if you send mails to wrong persons by mistake? Here is an example. Got it in one of my friend's scrap book. A man checked into a hotel. There was a computer in his room, so he decided to send an e-mail to his wife. However, he accidentally typed a wrong e-mail address, and without realizing his error, he sent the e-mail. Meanwhile....Somewhere in Houston, a widow had just returned from her husband's funeral. The widow decided to check her e-mail, expecting condolence messages from relatives and friends. As you can see from above graph, there have always been ups and downs in my frrquency of posting on my blog. And currently, one such down time going on.. Will be back soon.. It rained heavily in Latur today. 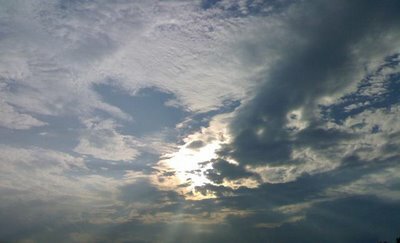 The rain appeared after a long gap. And it gave a soothing feeling. 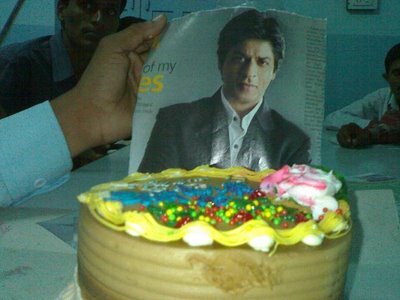 Well, I managed to get this snap from our college. The man below says, "Yes. You are in a hot air balloon, Hovering approximately 30 feet above this field. You are between 40 and 42 degrees north latitude, and between 58 and 60 degrees West Longitude." "You must be a programmer" says the balloonist. "I am" replies the man. "How did you know?" "Well" says the balloonist, "everything you have told me is Technically correct, but I have no idea what to make of your Information and the fact is I am still lost." The man below says, "You must be a project manager." "Yes, I am" replies the balloonist, "but how did you know?" "Well" says the man, "you don't know where you are, or where You are going. You have made a promise which you have no idea how to Keep, and you expect me to solve your problem." 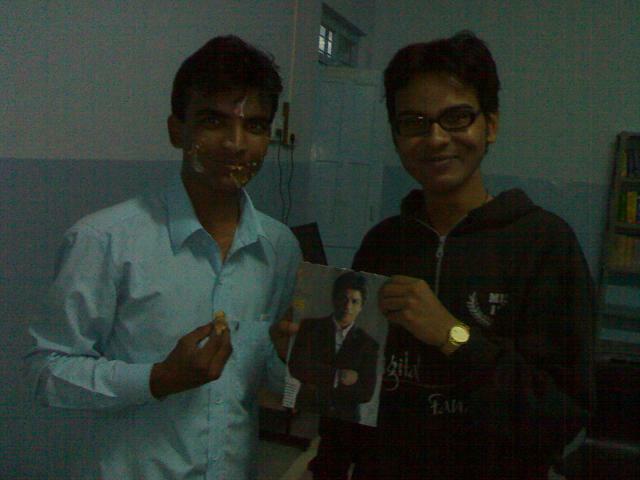 In our college, we celebrated Shahrukh khan's B'day. Surprised? Well, we really did. 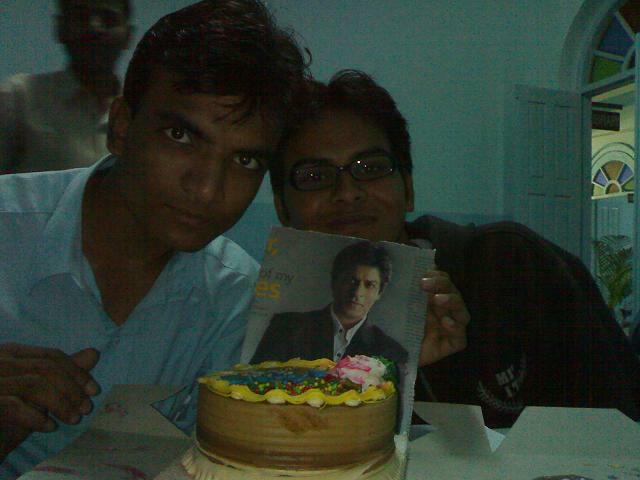 Actually Shafi is big fan of SRK and he celebrates SRK's b'day every year. So this year, we just wanted to do something different. So we brought chocolate cake and sweets. 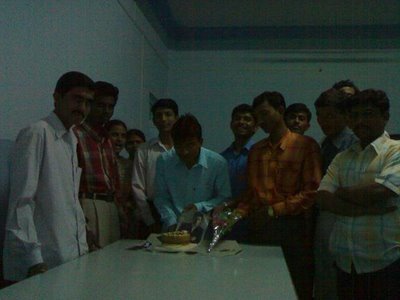 We cut the cake and distributed sweets in the college. And obviously, lot of photographs. Here, I'm sharing few of these snaps.